FRIDAY, April 14, 2017 (HealthDay News) -- Water is a better bet than sports drinks for young athletes, sports medicine specialists say. Most youngsters don't exert themselves at an intensity or duration that requires the extra sugar and salt contained in sports drinks, said Dr. Matthew Silvis. He is director of primary care sports medicine at Penn State Health Medical Center. "Sports drinks can replenish some of what you lost during exercise, but you really need to be exercising for more than 45 minutes to an hour before you would consider that," Silvis said. "Many of our kids are not doing enough to warrant it," he added in a university news release. Also, giving children sports drinks with extra sugar puts them at risk for weight gain and tooth decay, Silvis and his colleagues noted. Dr. Katie Gloyer is a primary care sports medicine physician at Penn State Medical Group, in State College. She agreed that "kids and adolescents really should not be using these drinks. Water is the best method of hydration." Energy drinks that contain caffeine or other stimulants are also ill-advised for children, the physicians said. These beverages can boost blood pressure, cause heart palpitations and heart rhythm disorders, headaches and upset stomach. Some kids may also feel jittery or nervous after downing an energy drink, the experts added. 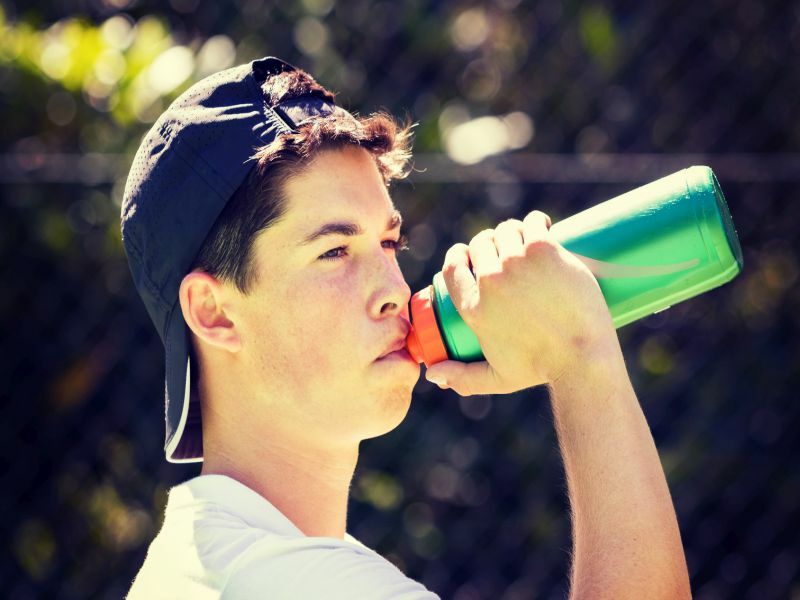 Coaches and parents should provide water to make sure children are properly hydrated during exercise, the doctors said. "If they are playing 30- or 45-minute halves, they should have a water break, and maybe add fresh orange slices or a granola bar to add a bit of sugar and/or protein at an appropriate level," Silvis said. After exercise, whole or low-fat chocolate milk works just as well -- if not better -- than recovery drinks. "Chocolate milk has the perfect combination of fat, proteins and carbohydrates that you want to get back into your system," Silvis added.